Bounty Killer isn’t just blasting Mavado, the dancehall legend also turns his attention to Alkaline. Bounty Killer offload a lot off his chest on Instagram last weekend about his former protege Mavado. 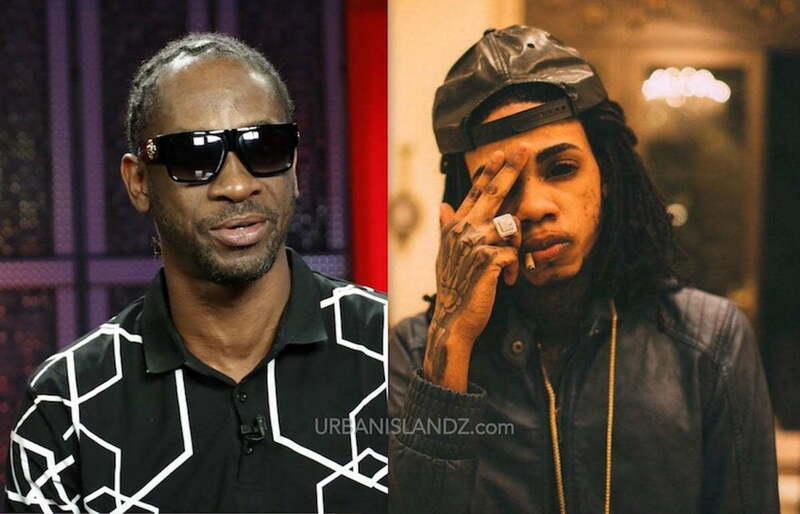 The Warlord also had a few things to say about the Vendetta boss, Alkaline, whom he calls dancehall’s biggest freakazoid.” Clearly, Bounty is no fan of Alka and even suggested that the “Champion Boy” deejay disrespected him in the past. For those of you who don’t know, here is the backstory. In 2014, Alkaline released a song called “Anywhere We Go” where he dissed Bounty Killer and Foota Hype. It seems that’s where the bad blood is coming from and Killer is clearly angry about it. 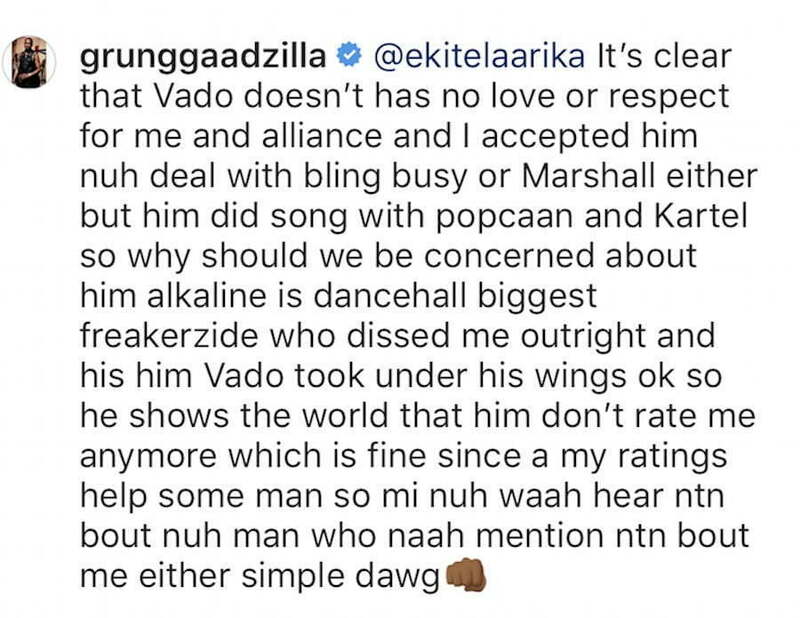 “It’s clear that Vado doesn’t has no love or respect for me and alliance and I accepted him nuh deal with bling busy or Marshall either but him did song with popcaan and Kartel so why should we be concerned about him alkaline is dancehall biggest freakerzide who dissed me outright and his him Vado took under his wings ok so he shows the world that him don’t rate me anymore which is fine,” Bounty Killer wrote on IG. Alkaline has not responded but Mavado did post a message on the Gram calling Killer bad mind. Just when we all thought that Bounty and Vado made peace then this. Vybz Kartel is somewhere in his cell watching all of this unfolding and laughing.